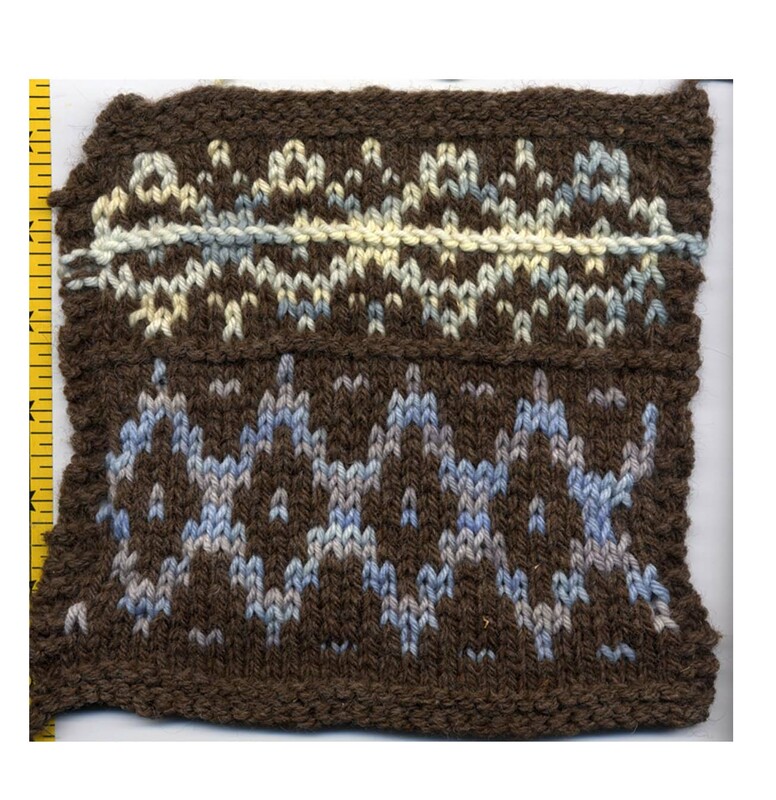 Like Clara Parkes, swatching is a large percentage of my job, it’s more than just getting gauge – for me it’s sketching in yarn. When I get an idea for a sweater or new piece, it doesn’t entirely complete itself in my mind until I can work up a bit of the concept in fiber. 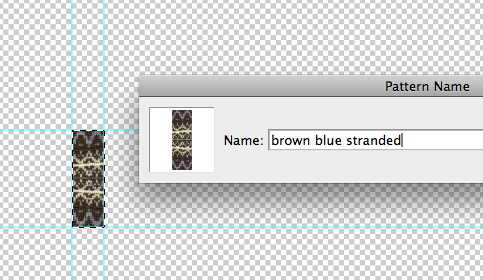 The times that I sit and swatch feel like I’m being lazy and not working. I enjoy these days, I love the swatching, and I can’t help but feel a little guilty that I’m having so much fun. Yesterday I re-knit one swatch over 10 times (in various yarns) but another swatch just popped out in 20 minutes, fully formed. 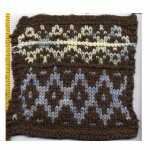 Of course, it all has to turn into something for my swatching to pan out, and here’s how I work with my swatches. 1. Ideas come to me in various ways, I’m often inspired by an existing garment, or by an idea for a cool stitch motif. 2. 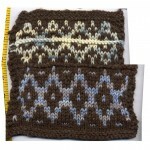 If I’m working from a swatch, the first step is to get it to work well, which may mean re-knitting it many times. 3. Once the swatch is finished I need to record it. I like scanning the swatches because it makes the image more usable. For a while I was photographing swatches, but this can be inexact with iffy results depending on the lighting, distance from the camera, etc. I use my trusty scanner, to which I’ve applied some measuring tape (to the left in the image) so I can easily record my gauge as I scan. 4. 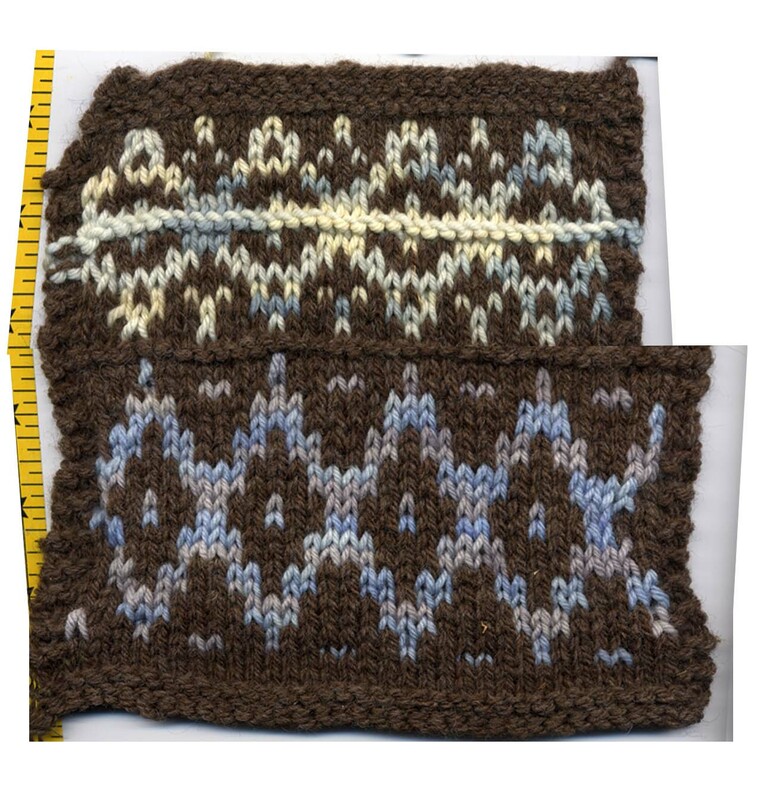 Once the swatch is scanned I ‘true it up’ using photoshop so that it’s squared (or rectangled) and can become a repeating pattern. 6. Now I’m ready to use this as “fill” in sections of my sketch. 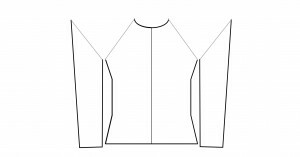 When I’m working off of a schematic (I do this sometimes for unusually shaped garments) the fill is pretty easy to use. When I’m working off of a sketch I have to fiddle with the different sections of the design so the fill makes sense. 7. 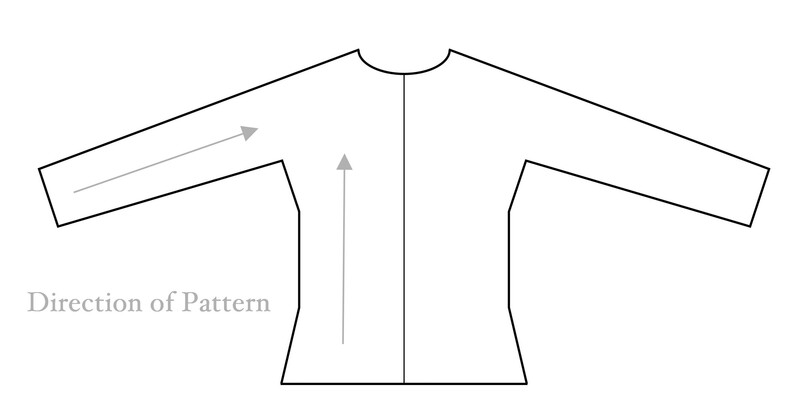 I divide the sketch and align the parts so the direction of the pattern will be the same. 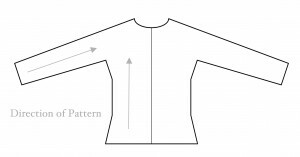 Also, if there’s a point at which the patterns must match (in this case, the underarm point) I align those, too. 8. 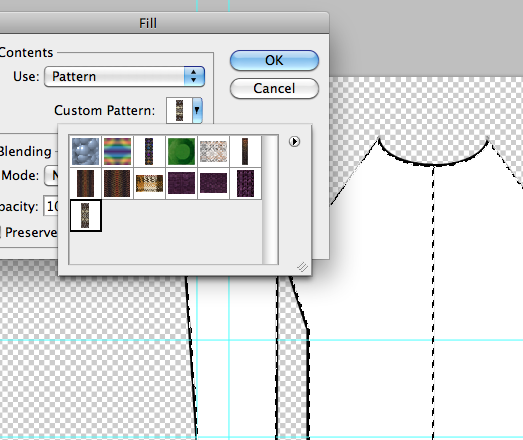 Then I fill all the areas with the pattern I’ve created using the fill tool. 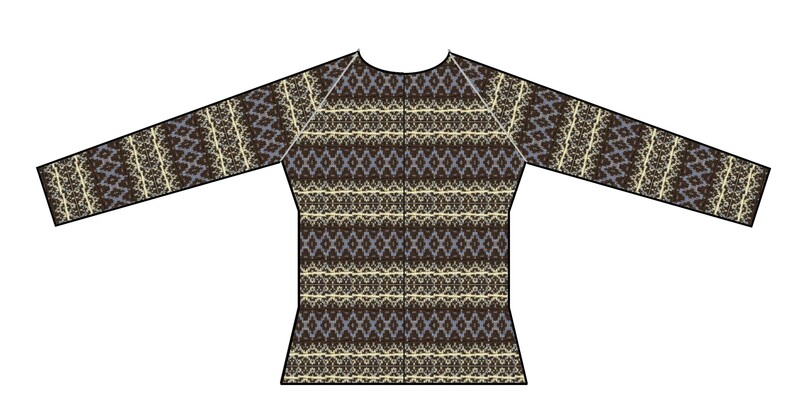 And I have a reasonable fascimile of what my actual garment may look like. 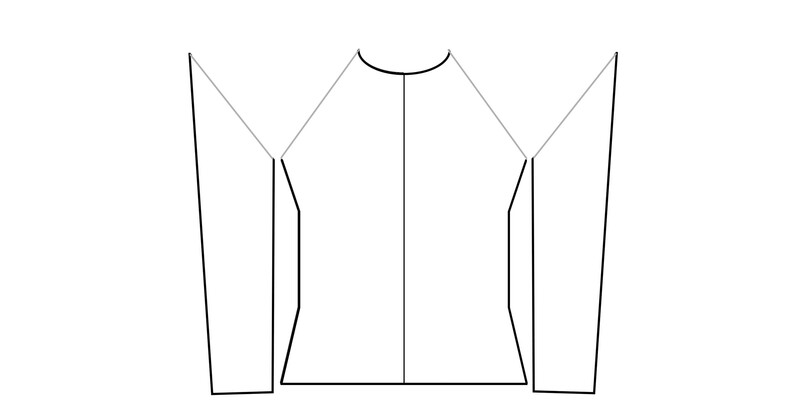 I’ve actually found these measured, filled sketches to be pretty right on target when compared to the final garment, which is gratifying! This entry was posted in Current Projects, Knit Technique, Work / Office and tagged how-to, photoshop by Annie. Bookmark the permalink. As a designer I too swatch a lot and love it. But I’ve never used the swatch to fill a sketch. What a great idea. I have Paintshop Pro and still struggle to get to grips with it. My teenage daughter is getting the hang of it rather quickly. I may show this post to her and see if she can do something like this for me. Thank you for posting about this. This is very cool! I love learning how people create. Brilliant. I’d never thought about scanning a swatch instead of photographing. Thanks for laying it out in detail. It’s interesting and sets me to thinking. Very nifty. I agree with Gillian: food for thought. Wow! 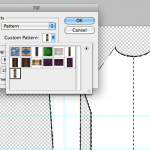 It was very cool to see your “working method” for designing a knitted garment. 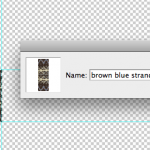 Sketching in yarn – I don’t think I’ve ever seen swatching described as that. I’ve scanned a sweater before – probably only because at the time I didn’t have digital camera that could take close-ups. Thanks for the insight into your design process. Yes! Having been a drawer and painter even before picking up the needles, I thought of “sketching in yarn” as a good description of what I do when I swatch. The phrase seems to have a better ring when I’m testing a new yarn or consciously working towards a new design. While I still enjoy it, it doesn’t seem like “sketching” if I’m “just” trying to get gauge for an existing design. Or that’s what I tell my non-swatch-friendly friends. They still just sort of snarl at me. Thank you for the description of your design-swatch process. I always love to see how creators put their ideas together. I am so impressed. Have you thought about teaching a class on how to do that and offering it online with your other classes?